Music and songs from Faytinga, African woman singer and musician from Eritrea, with a Kunama heritage. Faytinga — born Dahab Faid Tinga and also known as Dehab Faytinga — comes from the Kunama people, one of Eritrea’s many tribes, where women and men have equal rights. Born in 1964, she joined the liberation struggle at the age of fourteen, where she was given education and later become a combatant until the liberation in 1991. Her mother grew up in the highlands of Eritrea, while her father was a revered figure among the Kunama people, fighting for his homeland. He was given the nickname of ‘Fighting gun’ (taken from his name ‘Faid Tinga’) by the British administration in the early 50’s. Her dream to become a singer came true when she was sent to entertain troops on the front, using her songs as a message of hope and determination. She composes her own songs and also interprets work from well known Eritrean poets and composers. When singing, she plays the krar, a small lyre. An accomplished and elegant dancer as well as talented singer, she became a leading figure and source of inspiration to her country men and women. In 1990, she toured the US and Europe as a member of the Sibrit band, the National Folkloric Troupe of Eritrea. She toured for the first time as a solo artist in 1995 after releasing her first album on tape. She won the 2nd prize and 1st East African women singer at the 2000 Ma’ Africa in Benoni, South Africa. It took until 1999 and an appearance at the Africolor festival in France, before she could record her first album ‘Numey’. The CD album ‘Numey’ is her first international release on the Paris-based Cobalt Records label. All of the songs on this album are in Kunama, a very old African language. When listening, some ties to West African music surface. The Eritrean bass-lute called the wata is remarkably similar to the ngoni. Another similarity with music from the other side of the continent, many of my songs are ‘advice’ songs, such as Numey’ (‘Don't interrupt the teller’). However, her delicate vocals are decidedly East African, as are the lyrics of songs like ‘Milomala’, a song from Eritrea's struggle for independence in the 1980s. 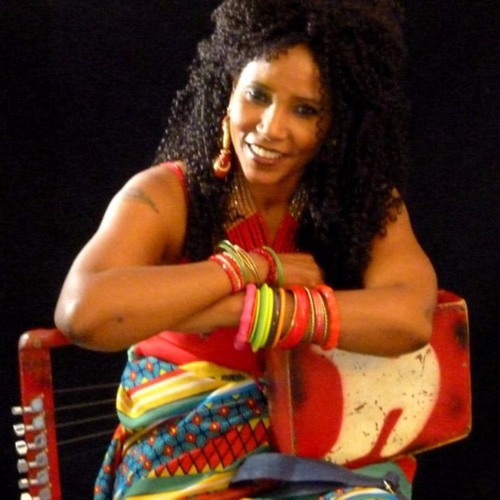 In 2003, still finding her inspiration in Eritrea’s musical tradition with krar and wata, she also brought guitar, flute, and percussions in her second album ‘Eritrea’. Freedom fighter woman turned musician, she has always been interested in music and developed her style ‘in the field’ that represents her own blend of several traditional music forms. Faytinga has been performing around the world representing Eritrea as a 'cultural ambassador' for her country. She participated to Expo 2005 in Aichi, Japan and to Expo 2010 in Shanghai, China. She also attended the Earth Summit 2002 held in Johannesburg, South Africa. In addition, she has been collaborated with other artists such as the group Ouï-Dire in an attempt to mix her voice, her music and culture with that of other continents. Faytinga is one of the first Eritrean artists engaged in support of people living with HIV and AIDS. She has participated in numerous World AIDS Day events including as guest-star singer on 1st December 2003 during the event held at the Hotel Intercontinental, and in June 2005, together with Kenyan singer Achieng Abura in an exceptional gala diner concert for the benefit of women and children affected by HIV and AIDS. She also performed on the occasion of the opening of the Namibia gender-based violence Art Exhibition on 10 December 2013 at UNAIDS Headquarters in Geneva.